With the variety of EGR systems used for the control of NOx emissions it is important to understand the components operation, prior to carrying out any diagnostic or testing. 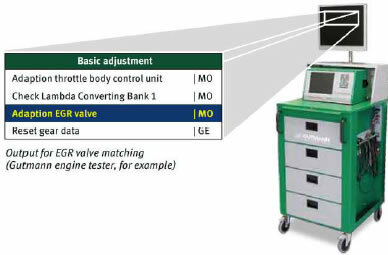 (Refer to previous issues for EGR system operation). A defective component in the EGR system may have a very detrimental effect to the engine performance and therefore the emissions. Strict emission laws and the malfunction indicator light generally illuminated when a system fault exists, require a prompt resolution. 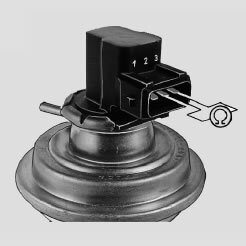 Note: This is a typical vehicle pin out configuration but this can vary for different vehicle models. Always refer to correct wiring diagram. 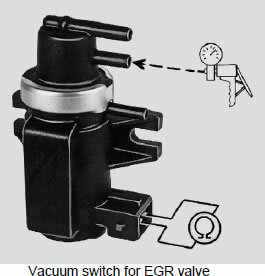 A suitable scanner can assist in testing this type of EGR valve by using the scanner program to activate the solenoid and also monitoring the feedback signal. 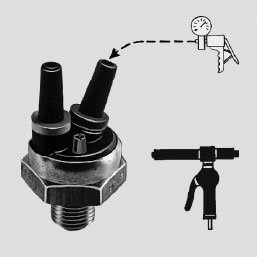 The switching of a functioning valve can be audible when the engine is not running. Tips for troubleshooting EGR – Its Exhausting! 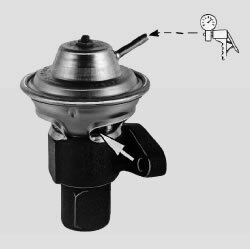 The most common cause of malfunctions in the EGR systems are stuck or blocked EGR valves due to excess carbon build up. This generally results in incorrect sealing between the exhaust and inlet and results in idling problems and poor performance. In most cases the EGR valve is replaced but the cause of the excess carbon is not investigated, why? Engine Management systems where an Intake Air Temperature (IAT) sensor is located directly in the inlet manifold can assist greatly is diagnosing leaking EGR valves. That is, monitoring the IAT output signal from a cold start – idling condition, should not indicate rapid increase in intake air temperature. This would be the case if the EGR valve was allowing exhaust gas to enter the inlet manifold when not required.